European contractor SIMIC S.p.A. (Italy) has finished the series production of toroidal field radial plates—the grooved stainless steel plates that are inserted between layers of superconductor in ITER's toroidal field magnets. A 9 x 13 metre radial plate and its transport frame, ready for shipment from the port of Marghera, near Venice, Italy, to the European winding facility in La Spezia (near Genoa). SIMIC has produced 35 of the 70 radial plates needed for the toroidal field coils under Europe's responsibility. 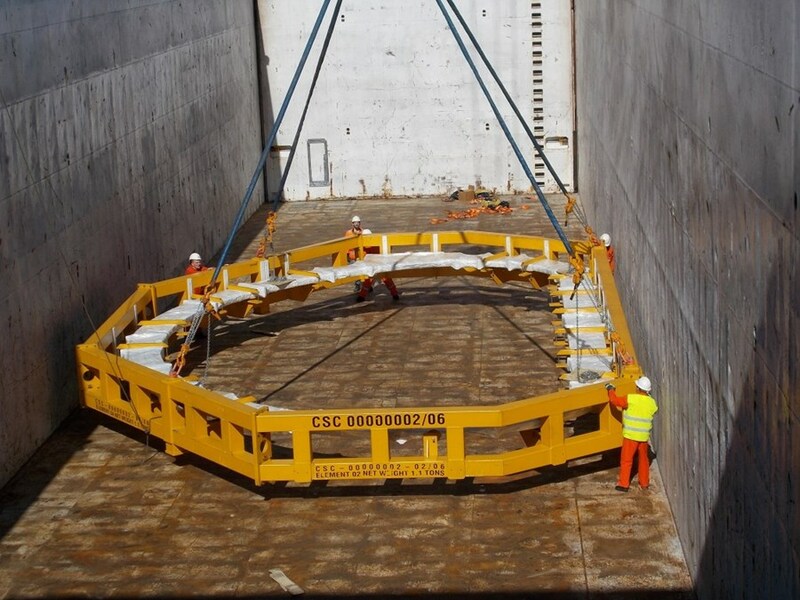 In 2012, a consortium formed by European firms SIMIC and CNIM (France) has been awarded the contract for 70 radial plates needed by Europe for the production of ten toroidal field coils. With the realization of its 35th radial plate, SIMIC has now completed its share. The last 9 x 13 metre plate, weighing almost 10 tonnes, will be sent on to the European winding facility in La Spezia, Italy, where toroidal field coil manufacturing is underway. The role of the radial plate is to hold the wound conductor in place. Each toroidal field coil contains five regular radial plates (with 12 grooves per side) and two side radial plates (with respectively 9 and 3 groves on the two sides). The plates require high-precision manufacturing and strict dimensional control to reach the tight specified tolerances. At SIMIC, an Italian firm specialized in the engineering and manufacturing of large machined components, a team of 70 people has been working for four years. 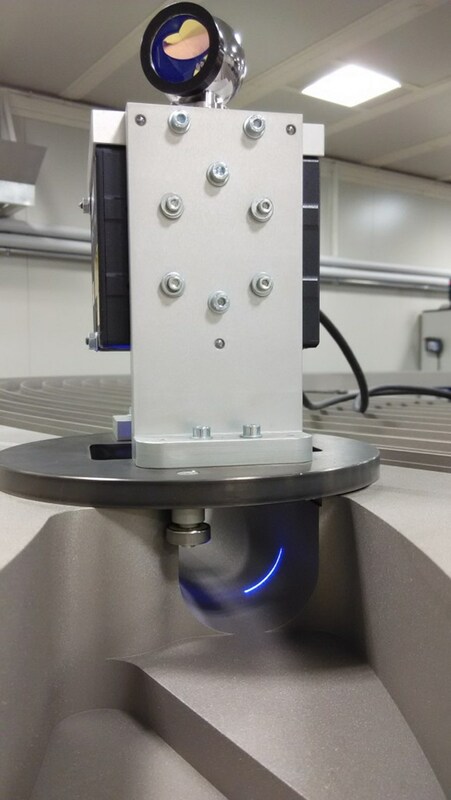 The grooves on both sides of the radial plate must perfectly match the trajectory of the conductor—a feat requiring high-precision manufacturing and strict dimensional control. See a report and a video of the production process on the European Domestic Agency website.